Our GlobetrotterGirls readers know all about our love affair with housesitting, which has recently culminated in the release of our new ebook on the subject (check out our book trailer for that at the end of this post). Today we wanted to share the stories of some of our fellow housesitters out there whose experiences have been as incredible as our own! You’ll read about couples and even full families who have housesat in places like an actual desert oasis, on tropical islands, on a beach in a tropical jungle, and a few in exciting global cities in the world. They save thousands of dollars on accommodation, make some great local friends, and one lucky couple even had their own service staff on hand in the lap of luxury! From the porch of our house sit, we’re watching sailboats slide across the bay as dolphins jump in front of a spectacular sunset background. Paddy, the adorable dog, is curled up at our feet occasionally rolling over for a belly rub. We’re in Fiji and we still have to pinch ourselves to believe we’re really here. Fiji – a sultry, tropical locale we’ve only dreamed about visiting and now we’ll be living here at almost no cost for 3 months. It started innocently enough while we were back “home” in Florida, deciding what course our busy lives should take next. We knew travel was at the top of the list, but how could we manage to see all of the awesome places and stay long enough to feel like locals? Through our web site, Will Work 4 Travel, we’d already discovered work exchange programs like Helpx and WorkAway, but what could we do to allow ourselves time to write and work on our own? House sitting was the answer! We found and registered with the first service we discovered, House Carers, and started looking. The Fiji house sit popped up and we decided (with more than a little apprehension) that this was the one we wanted. Waiting anxiously to see if they wanted us, too, we began to plan. We jumped up and down when we got the confirmation and haven’t looked back since. House sitting is now our preferred way of seeing the world and stretching travel dollars. While we were in Fiji we became a part of the community, attending Rotary Club meetings, volunteering at the hospital, serving as honored Chief Guest at the Secondary School Library Week, and becoming friends with so many of the colorful people who made our stay so special. It was more than a way of saving money. 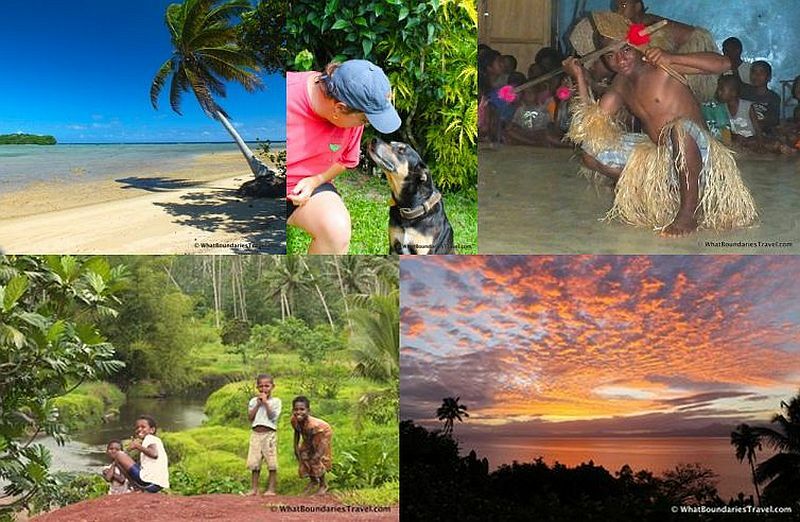 House sitting in Fiji gave us the opportunity to love Paddy and to make so many wonderful memories of a place where we weren’t just visitors, but truly felt like we belonged. Lisa Chavis and Cheryl MacDonald are two forty-somethings who decided to sell everything and travel the world. They have been traveling, laughing and working their way around the world since 2007, visiting 4 continents, 30 countries and over 200 cities. They share their adventures on WhatBoundariesTravel.com and you can connect with them on Facebook and on Twitter. Scoring a housesit in London is the holy grail for any traveler. 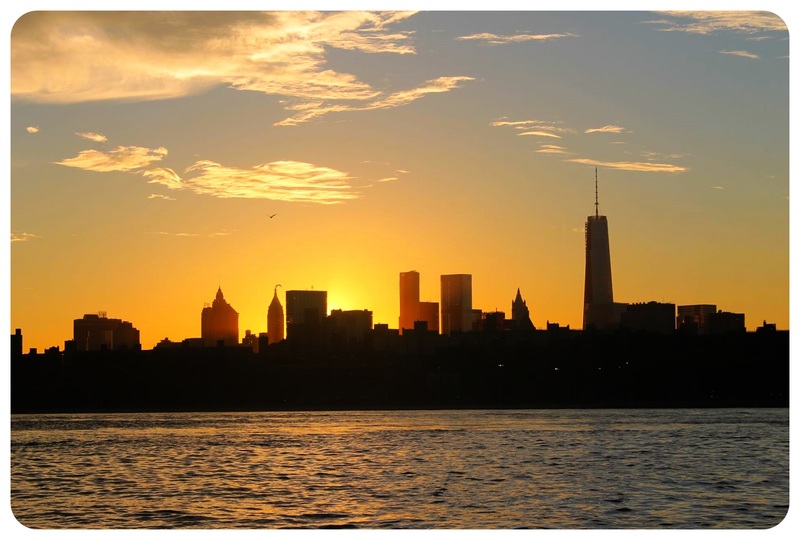 This fantastic city, so full of museums, restaurants and theaters is also ridiculously expensive. Our three week assignment, found on TrustedHousesitters.com, was to care for one dog and two cats in a typical Northeastern suburb. The house came with a relaxing garden, large kitchen and comfortable sitting room where we could watch British TV to our hearts’ content. But our favorite activity, when we weren’t out walking the dog or attempting to cuddle the cats, was walking the ten minutes to the Tube to head out on the town. 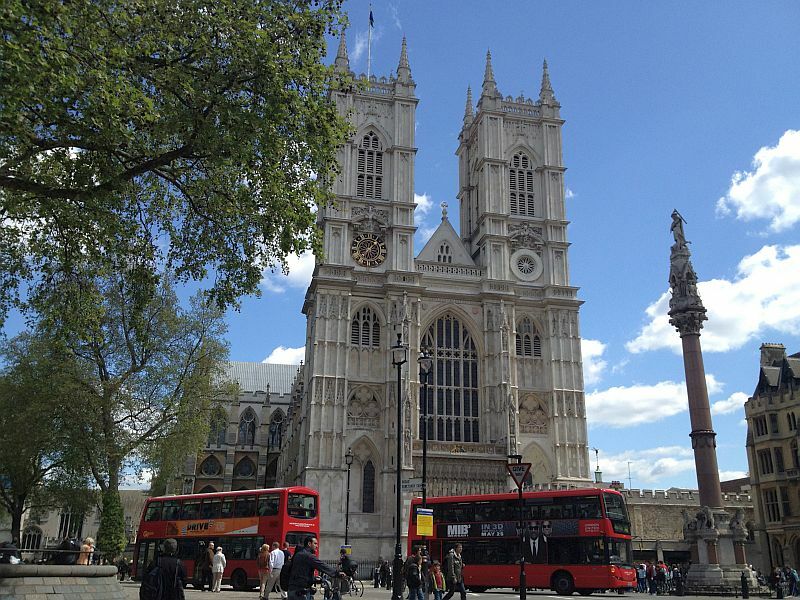 In only half an hour we could be in the West End, Hyde Park or walking along the Thames towards the Borough Market. Saving over a thousand dollars on accommodations meant we had tons of extra cash to spend having fun. And every night we slept in a house five times larger than any place we could afford to rent in London. The definition of a win-win! Kit Whelan is a digital nomad on her fourth year of nonstop travel. You can check out her conference for digital nomads, 7in7.co, and follow her on Twitter @kitwhelan. We have been lucky enough to land an amazing house sitting job, which I was surprised to get seeing as though we have children. It is located on the island of Langkawi, Malaysia and in our opinion is a true luxury villa, laid out in an open air floor plan. We found this great spot through the website trustedhousesitters.com. The owner has welcomed us with open arms even though I have a large and active family of 3 boys. I think she was interested in having a lot of people in order to provide the 2 dogs with constant attention. They are somewhat high needs and the fact that we have always had pets I think helped. We are at the house for 6 weeks, where we are enjoying playing with the dogs, swimming in the beautiful pool, and admiring the lovely ocean view. We are responsible for watering plants, keeping the pool and house clean, and most of all taking care of and loving the dogs, 1 of which has some medical issues. It was a great spot to be as Langkawi is really beautiful and full of so many fun things to do. Being here so long has availed us the opportunity to see it all. As an aside, a tip of sorts, I would say that someone with a larger home or someone who already has children would be the most likely to select a family to do the house/pet sitting. But I basically contact anyone I think fits with our time frame and location. It only takes a few minutes and the outcome is so worth it! Mary, her husband and her three boys escaped the American rat race over five years ago, moved to Costa Rica and continued their permanent travel adventure in Asia. You can follow their travels on BohemianTravelers.com and connect with them on Facebook and Twitter. Without a doubt, our favorite housesit to date was on a houseboat in Amsterdam, which we found through TrustedHousesitters.com. We had never been on one before, and the opportunity to spend 3 weeks on a canal in this beautiful city was a true joy. The best part of the experience was the family of swans who came up to the window twice a day to look in and beg for treats. It is an interesting feeling to be cooking and look over to see 8 heads staring back at you from 3 feet away. The opportunity to live like locals is why we will continue to explore new housesitting opportunities around the world. In 2008, Warren and Betsy Talbot decided to go after their dream of world travel. After 2 years of focused effort, they were able to turn their dream into reality, one they are still living today. The owners of a home on an oasis in southern Morocco contacted us through MindMyHouse.com to care for their dog, two rabbits and a bunch of chickens for two months. I could not resist the opportunity to live on an oasis in such a rural, exotic-sounding place. Especially tempting was when I discovered there is a camel souk (market) on Saturdays. Imagine the experiences we could have! The housesit is very rural, approximately 15 km from the nearest real town, and to get there we have to wait on the road for an hourly bus or shared taxis to drive by. In town we are usually the only white people. Most locals speak French, others speak only Arabic, so we communicate with a little French, a little Arabic, occasionally a little Spanish, and some pantomiming. Life is extremely simple here. On the oasis you feel like you’re in another world. When going into town, it’s like stepping back in time. The town is not very large. Grocery stores don’t sell fresh items, so meat and produce is obtained through various vendors. Your chicken is still running around when you go to buy it. The poulterer takes care of all the yucky work to get it ready. Our favorite bread vendor enjoys giving us brief Arabic lessons during our twice weekly trip to get supplies. Our preferred vegetable vendor greets us with an almost toothless smile as he offers the traditional Arabic greetings one gives a friend. We have regular power and running water, but no landlines for the phone. Internet is through a USB modem and is very slow. The refrigerator runs on propane and a small metal box connected to a propane tank serves as an oven. While simple, remote, and only a few steps above camping, it’s impossible to beat experiencing this type of life. We have had an insider’s look at Moroccan culture and daily life that no other opportunity could have provided. Talon Windwalker is a single parent who left his traditional work life in May 2011 and embarked on life as a full-time nomad, traveling around the world slowly with his son, who was 9 years old when they began their new life. You can follow their adventures on their website 1dad1kid.com, on Twitter and on Facebook. One of our favourite housesits was in Kyoto, Japan, which we found on mindmyhouse.com — we were lucky as housesits in Japan are rare. We looked after three lovely cats in a rickety traditional wooden house complete with tatami mats and sliding doors. Although the house wasn’t luxurious our 3.5 week stay saved us thousands of dollars in accommodation costs and was the only reason we could afford to visit expensive Japan at all. Kyoto is a gorgeous city of diverse temples, peaceful gardens and some excellent vegetarian restaurants (unusual in Japan) and we loved having so much time to explore it at a slow pace, learning to cook Japanese food, stumbling upon local festivals, and experiencing life in a real Japanese neighbourhood. Simon Fairbairn and Erin McNeaney are a British couple who sold everything and left the UK in March 2010 to travel the world forever. They write about their travels and life as digital nomads on Neverendingvoyage.com. You can connect with them on Facebook and Twitter. 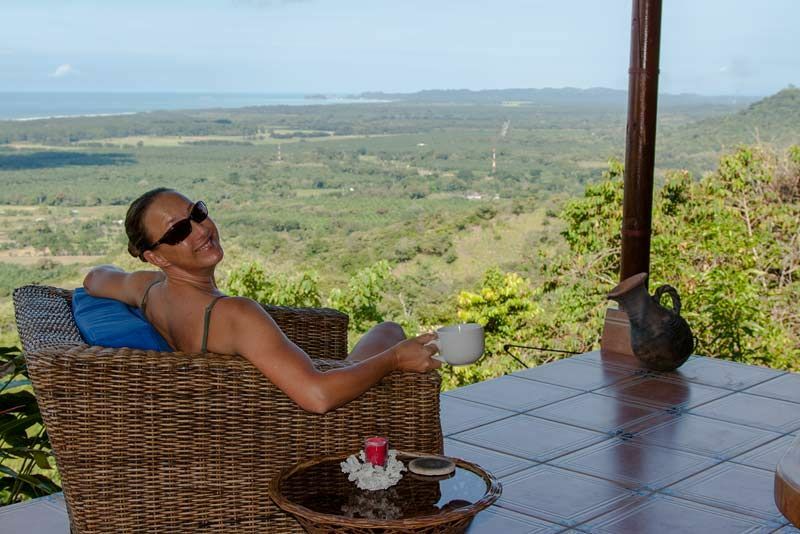 We hit it out of the park with our very first house sitting gig which we enjoyed in late 2012 in the hills above Playa Matapalo on Costa Rica’s Pacific Coast—and not just because of the spectacular location. When we saw the listing for a house and pet sitter on TrustedHouseSitters.com we knew it was for us: rural location, reasonable responsibilities (maintain a presence at the house and take loving care of one small dog and one independent cat) and a laid back vibe from the home owners. Plus the house had high speed internet so we would be able to get work done while fulfilling our duties, which we did during the three weeks we enjoyed the home which was built to really immerse you in the surrounding jungle. Turns out, that jungle was also home to toucans, king vultures, jaguarondi, enormous insects and remarkably nonchalant sloths. A female with a baby and a lone male hung around in trees less than 100 feet from the house for so long that we actually named them. We spent hours watching our own private episode of Wild Kingdom unfold in front of us from the comfort of the enormous, breezy patio of the house. 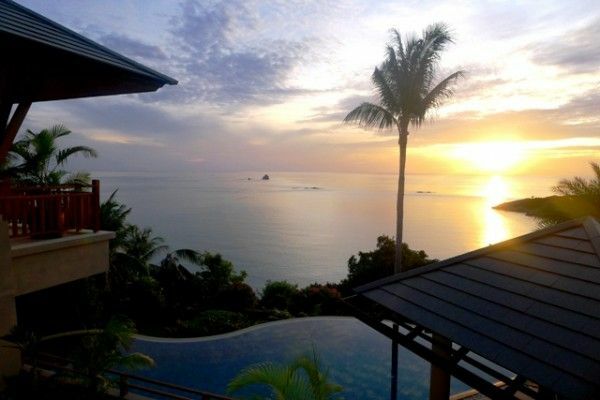 Did we mention the 180 degree view of the Pacific and the amazing sunsets? Writer Karen Catchpole and photographer Eric Mohl are the duo behind the Trans-Americas Journey – a 200,000 mile multi-year working road trip through 23 countries in North, Central and South America, which they started in 2006. You can connect with Karen and Eric on Facebook and Twitter. After just 5 days of signing up for Trustedhousesitters.com, we saw a request come through for a month-long pet sitting job on the island of Koh Samui, Thailand. After several email correspondences with the owner, we got the job. We had zero expectations going into the job, but it turned out to be over the top amazing. The job was to stay in the owner’s luxury villa/mansion and look after his two lovable (and giant) German Shepherds. Not only were the dogs wonderful but the house came fully equipped with two infinity pools, a full gym, media room, a poolside bar, and a full-time staff of three. 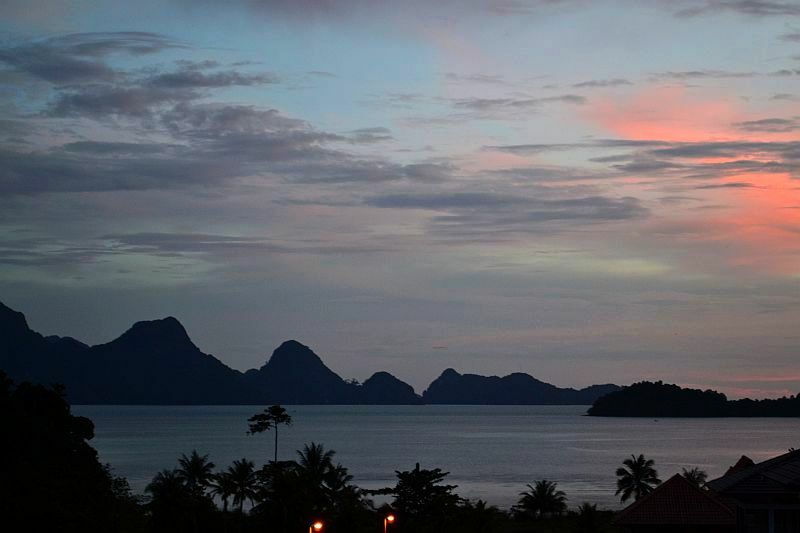 With panoramic views of the Gulf of Thailand from every room in the house and adorable dogs to play with every day at the beach, it was the perfect month in paradise. 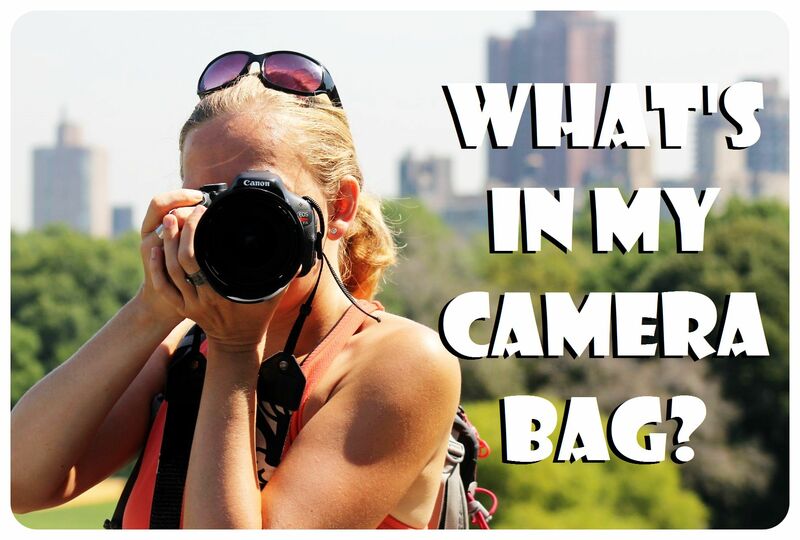 In January 2012, Meg and Tony Rulli left their jobs to travel the world and try out this ‘location independent thing’. They are aspiring entrepreneurs and digital nomads blogging about travel, food, and all things ridiculous. Follow their journey at LandingStanding.com. You might have noticed that quite a few of these housesits were found through TrustedHousesitters.com, as was our current housesit here in Santiago, Chile. 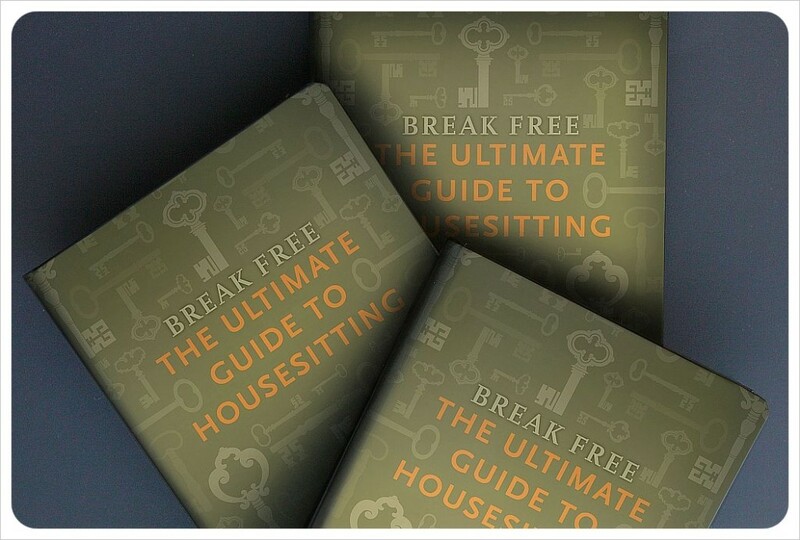 We have teamed up with TrustedHousesitters who offer a very special discount for readers of our book, Break Free: The Ultimate Guide to Housesitting. Available for Kindle on Amazon.com, the $9.99 book is essentially free if you sign up to TrustedHousesitters using the special discount code in the book, and after reading what is truly the ultimate guide to housesitting, you’ll be leaps and bounds ahead of other applicants for amazing housesits like the ones you read about above. Don’t have a Kindle? 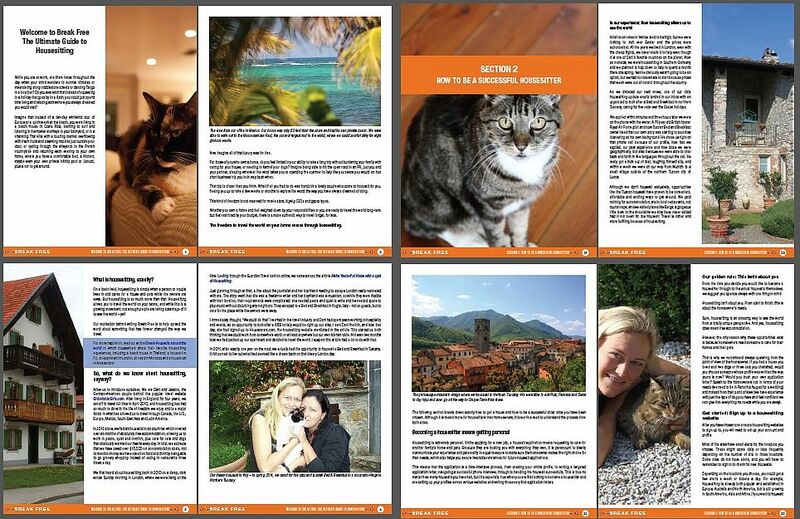 No worries, we are offering Break Free – The Ultimate Guide To Housesitting also as a pdf download directly onto your computer! For only $11.99, you get over 120 pages filled with everything you need to know about housesitting, plus three bonus pdfs that will come in handy for every housesit – for both homeowners and housesitters! And our most exotic housesit? As for our most exotic housesits, you can catch a glimpse of several of our own housesitting experiences in our Break Free book trailer below. Have you ever done a housesit? We would love to hear your most memorable housesitting experience the comments below! I’ve often been curious about how house sitting works. Looks like more people are doing it than I thought! Such a great way to save money while travelling too! We haven’t housesitted yet, the right opportunity hasn’t come a knocking…but when it does, we will certainly be ready for it! Great Cheryl! We just stay vigilant across the many websites that we are members of and apply for anything that fits in with our schedule. Once you get your application letter and your profile down pat, homeowners with the housesits you really want are more likely to apply! Good luck! All those houses in tropical countries look lovely, but for a strange reason I am most attracted by the houseboat in Amsterdam. Can’t imagine anything more cosy! I know what you mean Tammy! 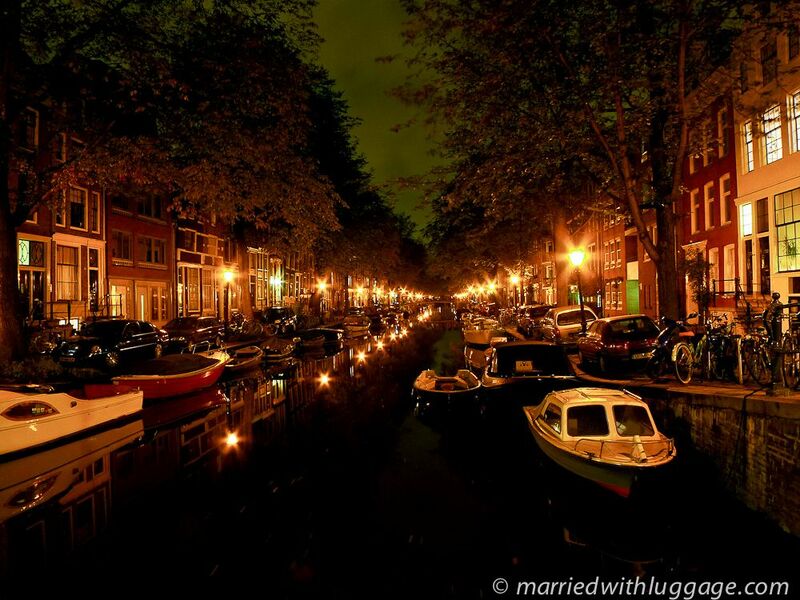 What an interesting, original glimpse into life in Amsterdam! And you know that any sort of ‘hotel’ experience would easily cost $100 a night or more for something so ‘original’. What an opportunity. Inspiring stories! As the owner of Trustedhousesitters.com we’re thrilled to read about all the wonderful experiences. I thought I’d share some interesting results from a survey we’ve just carried out with all our registered house sitters. 76% of sitters, who had completed their profiles, had secured a house sit via our website. [These were people that had included the basics we recommend on their profile – a photo, references [can be character] and requesting a police check certification from their local police [costs about $10 to get and very easy!]. Andy and I who set up the business love to house sit too and recently completed a round the world trip house sitting – it’s a wonderful way to immerse yourself as a local but do take heed that there are responsibilities as a house sitter and of course a love of pets has to be a big priority. For me, I love nothing more than taking a dog for a walk down a foreign beach and meeting locals this way, it really does open up so many more doors and introductions, when caring for a local or expat’s home and pets. Good luck with all your house sitting adventures! Rachel, thanks so much for your comment, and that is a great number of successful housesitters through TrustedHousesitters! I just wanted to say that walking our ‘temporary’ dog Loba down the beach in Mexico was one of my absolute favorite things to do, too! It’s funny because moments like those are more common than you might think, since we also had the same thing in Costa Rica, too. These are those tiny, secret, endearing moments you get with housesitting that add up to make the experience so unique! Great list of house sitting adventures and we are delighted to be part of it. We’re also happy to say that our house sitting continues! We will spend the month of April looking after a huge house in the hills above the Pacific Coast of Panama. Can’t wait! Oooh! Congratulations on the housesit in Panama, how exciting! Once you start doing it, it just makes so much sense to keep trying for great sits, especially when they fit right in with your travel plans! This has put that extra little fire under me to get a move on it. We are an American family of 4 that sold it all and are living in Spain. We have been here for 4 months and hope to keep up travel and culture as long as we can. We hope to roam Europe+ over the summer when kids are out of school. I need to register for the few sites and get serious about the house sit. Thanks! Hi Heidi – that’s great about your family’s escape! You will find loads of housesits around Europe over the summer, we have seen several pop up already that we’d be very tempted by and there are also several in Spain that are 6+ months, so conceivably you could get rid of rent altogether! 🙂 Good luck! 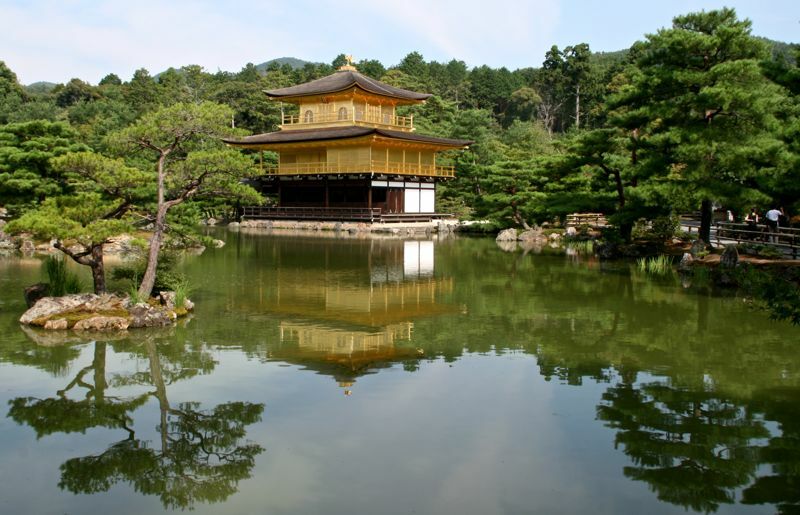 Thanks for including our Kyoto housesit and putting together this inspiring list of housesits. 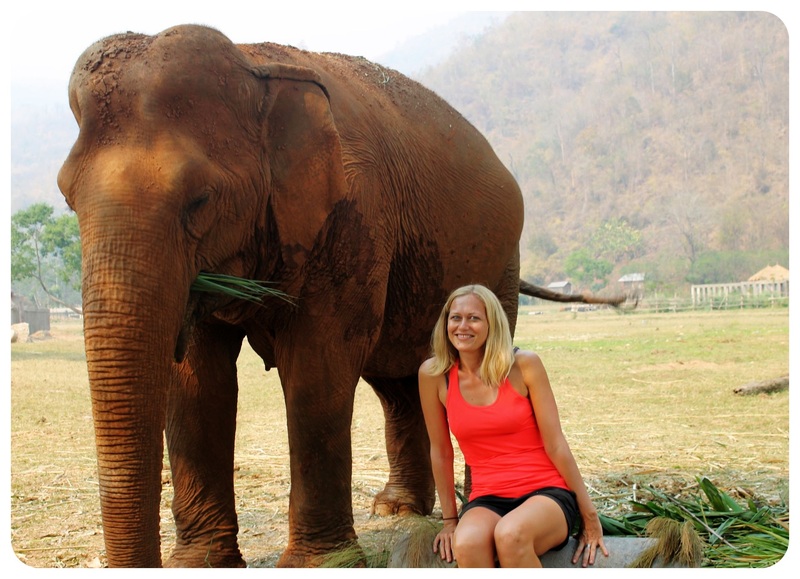 Every experience here is so diverse and just shows the adventures you can have housesitting your way around the world. Awesome article! Thanks SO much for including us! Tomorrow we start the first of 2 more housesits in New Zealand and just secured our first Australian house sit for late March. It really is an amazing way to travel and stretch your travel dollars! Thanks again for including us and hope to see you out there soon! Wow, that’s great that you have three housesits lined up! As soon as we get to Australia and NZ I am sure we are going to housesit non-stop! Wow, some very beautiful housesits there! I think our most memorable will be our current one, not so much because of the location or the house but because of the length (5 months). It really feels like we’re actually living here (in France) rather than just visiting. A 5 month French housesit is what one might call…the dream! 🙂 I wish we could take things like that but I can only be in the EU for three months at a time. Love your site, guys, we’ll have to stay in touch! Great stories… this provides more motivation for me to get going with housesitting. It’s been on my to-do list forever! I’ve been holding off for a number of reasons, including lack of experience and references, although Rachel’s comment above gives me hope. Hey Scott, don’t worry too much about the experience and references. As we always say, start by telling your friends and family of your interest and see if you can’t get a few housesits through personal contacts first. Everyone gets their first housesit somewhere 🙂 and it’s just such a great way to travel. Good luck! I had never considered a housesit until I started reading about it on websites such as yours. You guys are so enthusiastic about it that I think I have convinced my significant other to give it a go the next time we set out to travel together. That’s what I love so much about reading travel blogs: there are so many ways to travel the world that I had absolutely no idea about! All of these housesits sound like incredible experiences. Jessica – I had a look around your website and you two seem like housesitting would be perfect for you! Look into it for sure! I happen to know a great book with loads of info about how to do it right 🙂 Seriously, though, you should definitely get involved! Great round-up! Totally inspirational. We had looked into housesittting in the past, but haven’t been able to plan far enough ahead to make it work yet. Now we’re fooling like we just MUST! Tamara, there are also short notice housesits out there too, though my advice there is to sign up to at least two housesitting sites to maximize that aspect. But we once were housesitting in Germany in Spring and were wondering what to do for Easter coming up in like 18 days, and saw a housesit advertised short notice in Tuscany and within about 10 hours the homeowner had chosen us. They’re definitely out there 🙂 Good luck! The more I read about housesitting the more I am inspired to do it. I love the diversity of the different places people have stayed. The idea of a houseboat in Amsterdam appeals as does a 5 month stay in France but I must remember to keep in mind the 3 month visa restriction! Never tried it, but thanks for introducing me to the idea. I will check out the recommended sites and get back with some results :). These are fantastic. I house-sat during rainy season in Costa Rica. I couldn’t believe I got to leave my one-bedroom hut and live in a sprawling three-bedroom house with flowering trees and mangos, all for the cost of whatever air con I used. Seems like a dream! Yay for encouraging house-sitting!! Ooh, I want to live on a house boat in Amsterdam! You’ve sold me, I want to house sit one day! Just read about your house siting and all I can say is WOW! Totally amazing and wonderful thing you guys are doing. You are blessed to be able to travel, see all sorts of exotic places, and learn new cultures all by helping out someone else. I have a pet sitting business, and it would be surreal to be able to pet sit all over the globe:). Have fun in all you do! I really need to look into housesitting for my extended trip. Might help me decide where I’m actually going. Loved the stories. We finished our first house sit on a small organic farm in Vermont and just accepted a house in Italy. Any advice? Hi Jo, that sounds great! Where in Italy will you be? We’ll probably have tons of advice 🙂 It’s definitely worth it checking out some Italian language learning classes – there are some good ones on YouTube – for the basic phrases. Will you have a car available?